ALL children must be completely potty trained, except for the 2-year-old classes. Like many parents my wife and I struggled with the decision to send our kids to Kindergarten or to hold them back and let them grow, both mentally and physically, for another year. 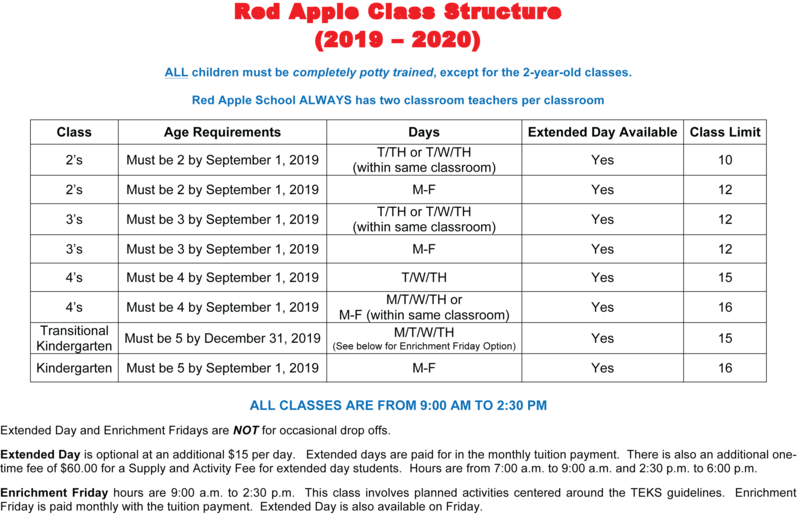 The PreK II class that Red Apple offered was the perfect solution. Both of our boys were able to use this program to transition into Kindergarten and entered elementary school very well prepared. We could not have been more pleased with the decision that we made.